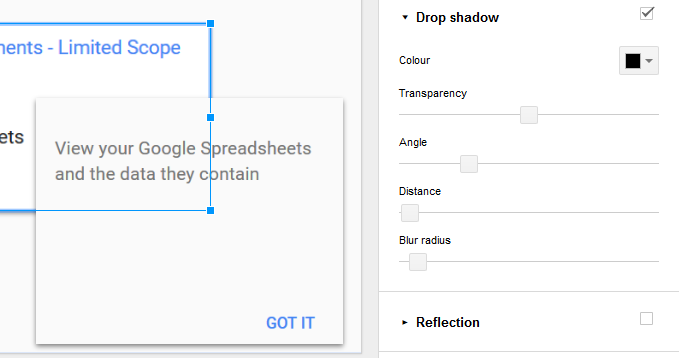 Any idea on how to add a drop shadow to an element on Goolge Slides? I have googled a lot and found a couple of websites explaining how to add a drop shadow to a text but no leads on how to add it to an element. I saw a slide which had drop shadow and saved it for reference but couldn't find out the way to replicate it. Another work around is to copy the image and "replace image", which will switch out the photo but keep the shadow. 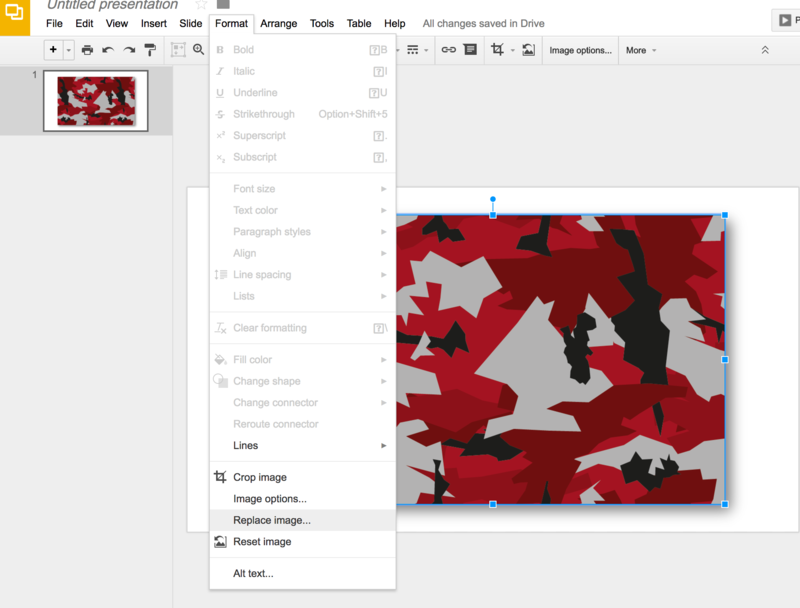 You're not able to directly add drop shadows for images in Google Slides. The drop shadow was made in a different slide making program like PowerPoint and the file was uploaded to the Drive. The user then opened the PowerPoint file with Slides and the shadow is stilled applied like it would be in PowerPoint. 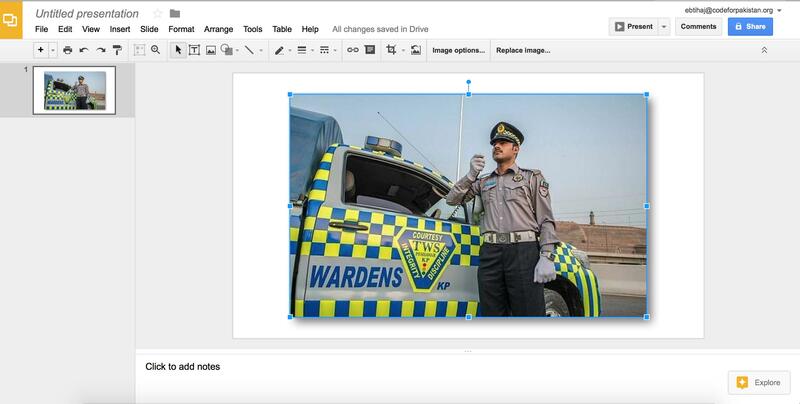 This feature is now standard available in Google slides for both images and shapes. All you need to do is Right-click on the object > format options > drop shadow. Not the answer you're looking for? Browse other questions tagged drop-shadow google or ask your own question.